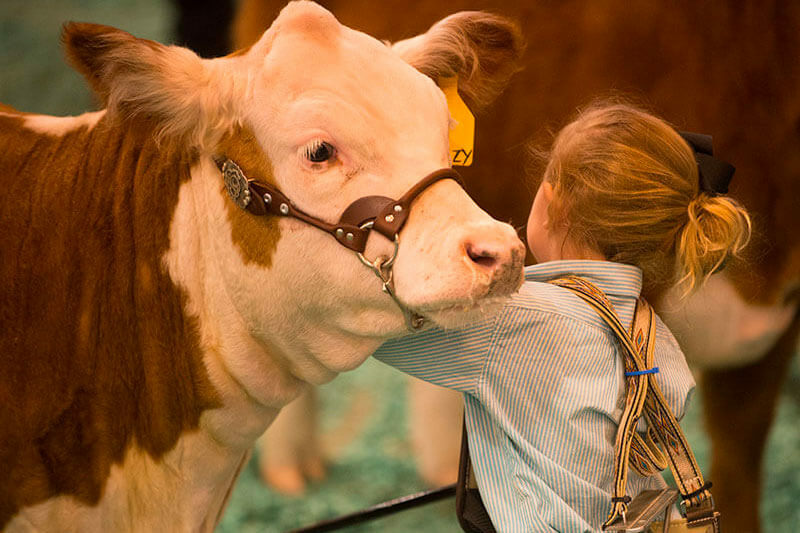 The JB Miniature Hereford herd began with a key goal in mind to provide youth with opportunities that would develop their livestock show career at an early age. The Miniature Hereford Breeders Association allows juniors to begin showing at the age of three and continue on throughout their time as a junior. This early exposure to livestock provides juniors with the basics of cattle handling and care. The goal at JB Miniature Herefords is for youth to gain skills that will propel them forward into 4H and FFA livestock events. The team at JB Miniature Herefords has seen the benefits first hand of exposing youth to showing at a young age. The confidence found from showing Miniature Herefords is because of the multiple shows that offer a Miniature Hereford breed show. 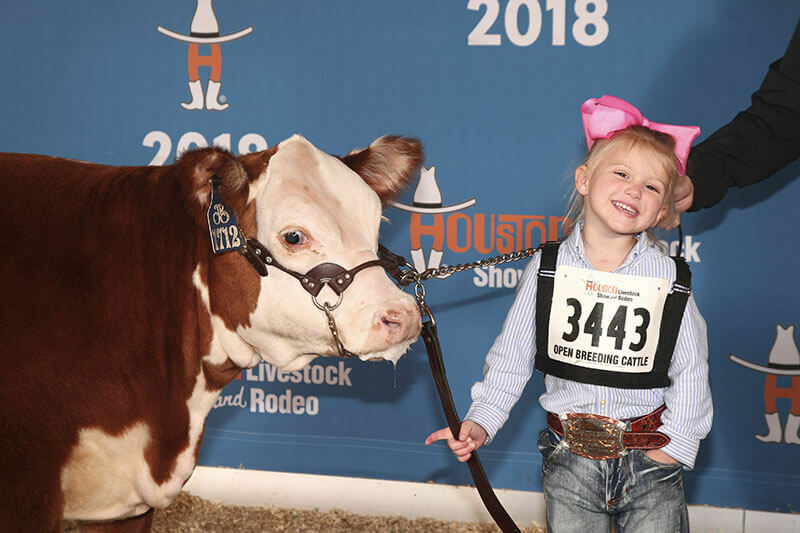 The Houston Livestock Show and Rodeo, Fort Worth Stock Show and Rodeo, San Antonio Stock Show and Rodeo, and all national livestock shows have a Miniature Hereford show. JB Miniature Herefords has attended these shows with quality cattle and youth that have a passion for livestock. The interest built for showing livestock is because of the opportunities available for youth who show Miniature Herefords. Let JB Miniature Herefords help your young exhibitor build a lifelong love of agriculture. Contact us today to begin your Miniature Hereford experience.